The Royal Corin Thermal Water & Spa Resort seeks to identify and support initiatives that make a meaningful and sustainable impact on the lives of Costa Ricans through investments in education, community service, environmental protection and preservation. In the beginning of 2015, The Royal Corin Thermal Water & Spa Resort initiated the Guest Dollar Donation Program where guests staying at the resort are invited to donate US $2 per room per night. These donations are the bedrock of The Royal Corin Thermal Water & Spa Resort Foundation, enabling us to carry out our efforts to improve the livelihood of local Costa Ricans. Mutt Territory of is a "No-Kill Shelter". 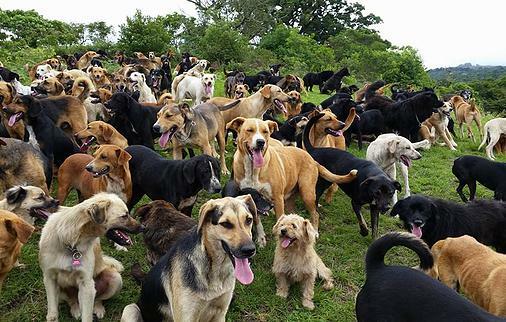 A dog sanctuary where they do not believe in euthanasia as a solution to the problem of abandoned dogs in Costa Rica. The mission is to find a home for all the dogs that are in their care. They are a temporary home for hundreds of dogs looking for a second chance, and they are also the permanent home of many dogs that possibly never find a loving family. • To rescue and to improve the quality of life of the street dogs. • To promote the adoption of animals rescued by the organization. • To reduce the number of street dogs by means of the castration of all those that we have rescued and a campaign to raise public awareness of the careful and responsible ownership of pets. The Royal Corin Thermal Water & Spa Resort offers a program that assists animal-loving guests in adopting dogs that are in need of a loving home. If one of our guests wants to adopt a dog while they are here, we are happy to help. The Royal Corin Thermal Water & Spa Resort covers the costs of any necessary veterinary services, medication, and the documentation, as well as a kennel to transport the animal to his new home. The Royal Corin Thermal Water & Spa Resort is committed to the protection and preservation of the environment and incorporates practices that achieve these objectives. We have a dedicated team whose mission is to spearhead, maintain, teach, and institute the best practices at the Resort as well as outreach activities in the community. 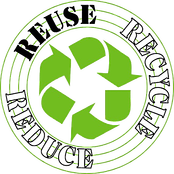 We accept the responsibility and ratify our commitment to continue working to reduce external and internal environmental impacts on nature, the environment and climate protection. The Royal Corin Thermal Water & Spa Resort will move forward with a vision to obtain the Certification for Sustainable Tourism granted by the Costa Rica Tourism Board in 2016. The CST is a product of the Costa Rican Tourism Board designed to differentiate businesses of the tourism sector in Costa Rica, based on the degree to which they comply with a sustainable model of natural, cultural and social resource management. It consists of a scale of 5 levels of sustainable tourism achievement and is regulated by the Costa Rican National Accreditation Commission. See here what The Royal Corin Thermal Water & Spa Resort has implemented to protect the environment.